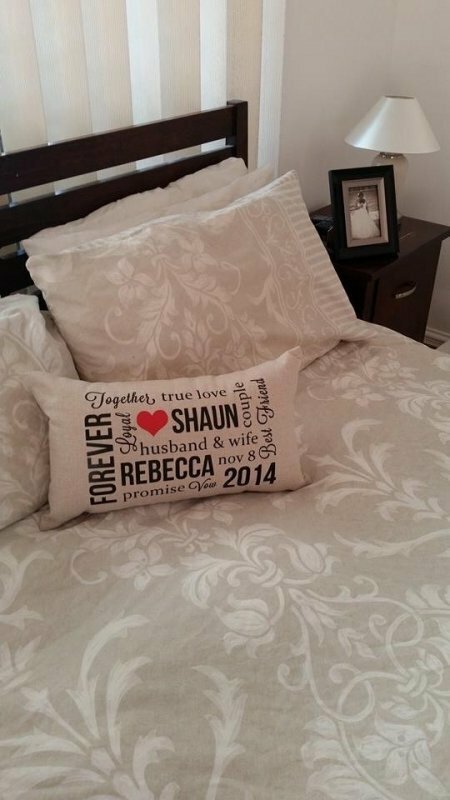 This personalised husband & wife pillow is the perfect gift for a wedding, bridal shower or even an anniversary gift. Such a lovely keepsake for the newlyweds. 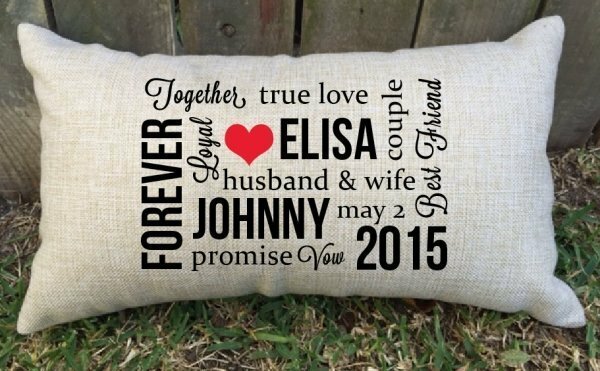 100% cotton pillow made from high quality fabric, completely personalised with your details. Machine washable. Size: 50 cm wide x 30 cm high. Price does not include cushion insert. 24 lettering colours available, please enter your colour and date details above.